Right after I back from my Phuket trip last year, 3 days later I went to Brunei to attend my cousin's wedding with my family. We travelled by road and it was freaking long roadtrip which took more than 7 hours and had to go through 6 different immigration before reach the desired destination. It's kinda troublesome and exhausting journey but on the bright side for a part-time traveller like me, my passport was occupied with 2 pages of passport stamp for just 2 days short trip. 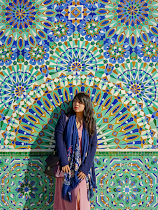 I did blog about this before and if you haven't read before, check out this - 7 Hours Road Trip from Kota Kinabalu to Brunei. 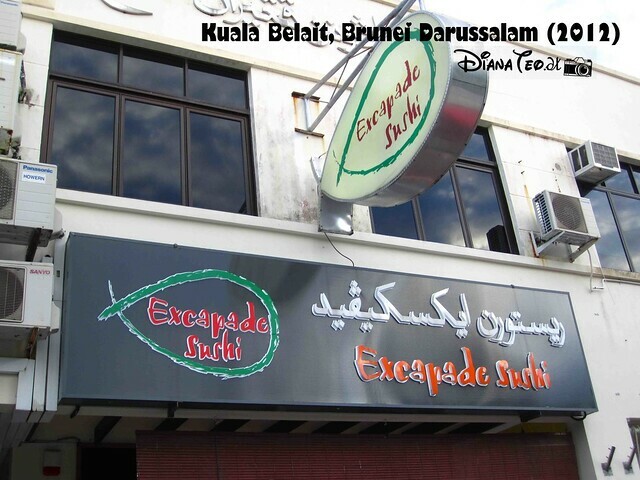 Right after meeting up my cousin and the rest of my relatives upon reaching Kuala Belait, my daddy immediately brought us to Excapade Sushi, which is one of the famous Japanese chain restaurant in Brunei. He went before and he can't stop repeating telling that it is the best Japanese restaurant that he ever visited. 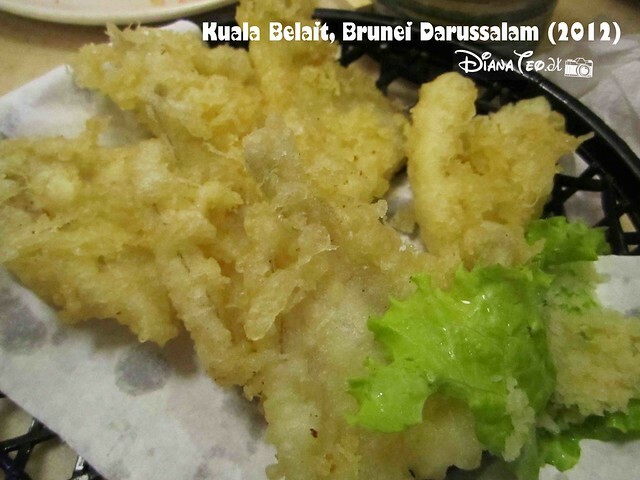 You will be surprised that most Miri and eventhough KK people willing to cross the border just to satisfy their crave towards this Japanese cuisine in Brunei. Even most of my friends who went before also informed me that I shouldn't miss out Excapade if I have the chance to visit Brunei. I'm not too sure how many of Excapade Sushi outletS around Brunei but the one we visited in Kuala Belait is located just nearby my cousin's house. It always fully occupied especially on weekend and during lunch time but we were kinda lucky mainly because we went on weekday and plus, it was before 6pm, which we arrived earlier for dinner time. Hence, no worry of long queue and long hour of waiting for seats. Ok, now let's us have #foodporn session, shall we? 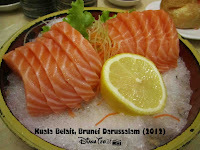 #2: Salmon Sashimi - What can I say more about this? Delicious, thick and most importantly fresh. 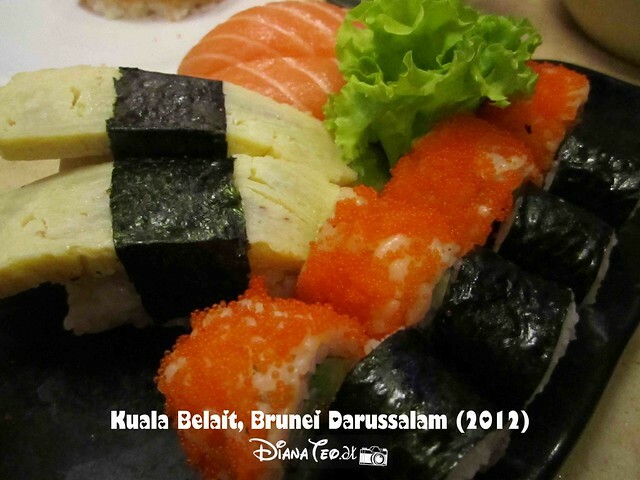 #3: A small set of sushi with combination of tamago sushi, salmon sushi, kani maki and mini California maki. #4: Mini California Maki (top) and Inari Sushi (bottom) - Both are my favourite & it's incredibly huge. Unable to fit into my mouth at one time. 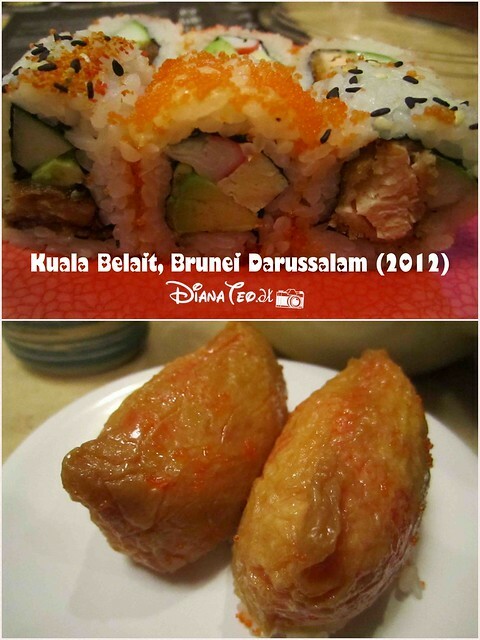 And you know what, we visited Excapade Sushi a year later which was 2 months ago but at the different outlet while waiting for our flight back to KK from Bangkok. 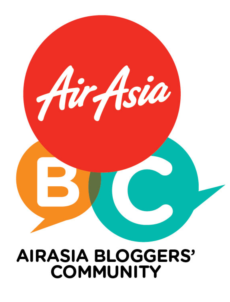 We went the one in Gadong area (will blog about this in the future post). Seriously, if any of you ask me what will I recommend if visiting Brunei, I will definitely say "Visit any outlet of Excapade Sushi" cause not just their sushi and other meals which were so huge, fresh and serve in great quality but it's definitely worth every penny you pay. I was kinda forgot how much we paid during the first visit but for the second visit, the total damages was $170++ (roughly around RM425) for almost 20 people of us. Surprisingly cheap, right? Kuala Belait KA 1931, Brunei. 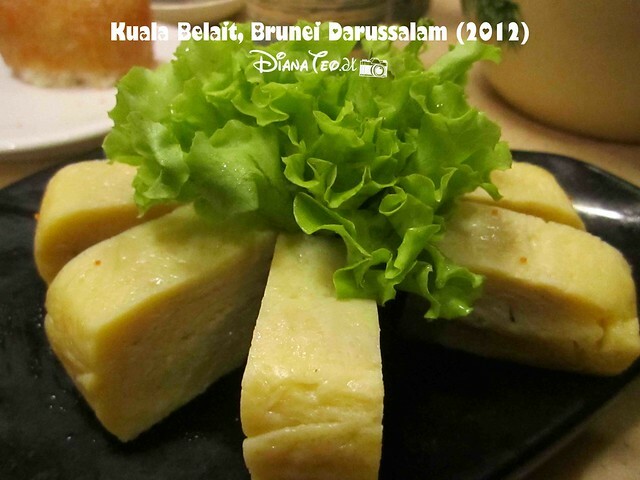 And this concluded as my final post for my 2012 Brunei travelogue. We didn't go for any sightseeing cause our main purpose was basically to attend my cousin's wedding. 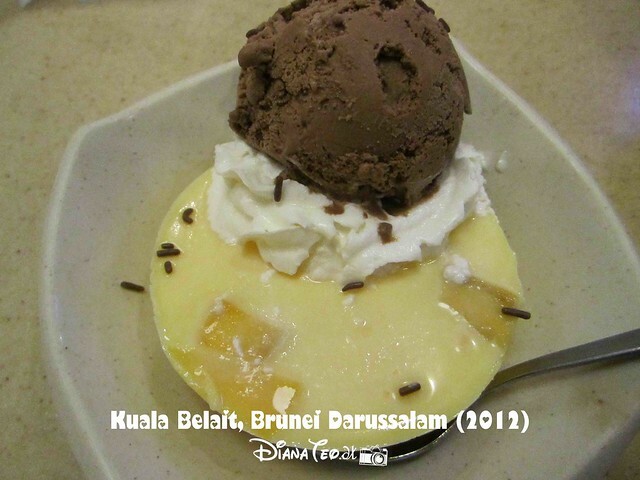 Plus, I stayed and studied in Brunei before when I was kinda very young and went most of the places around Brunei. Hence, my family didn't have the intention for another revisit. 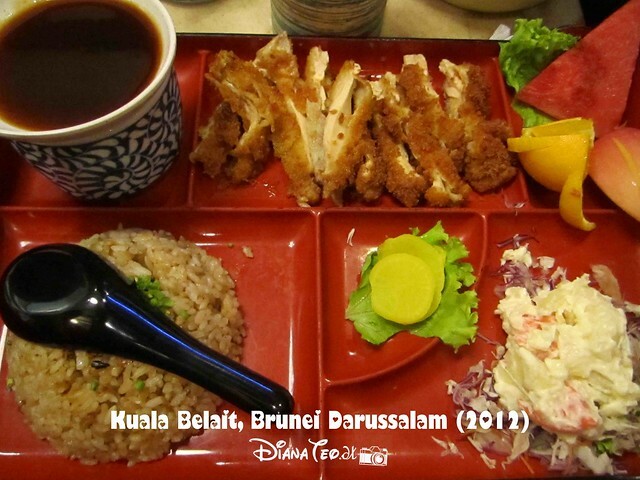 However, if you want to know more about Brunei, you can check Jeff's travel blog - click HERE. That's a generous and very good looking salmon plate. The tamago combine with unagi is great, both also my favourite ingredients! 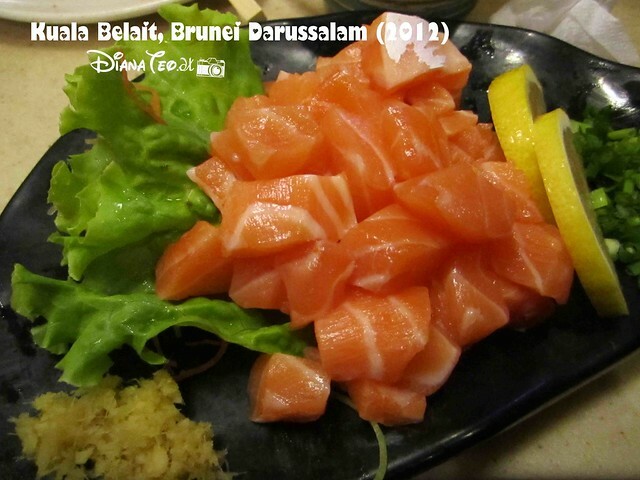 Sashimiiiiiiiii :o It's really so cheap, I guess about RM22++ for one person? Nice! 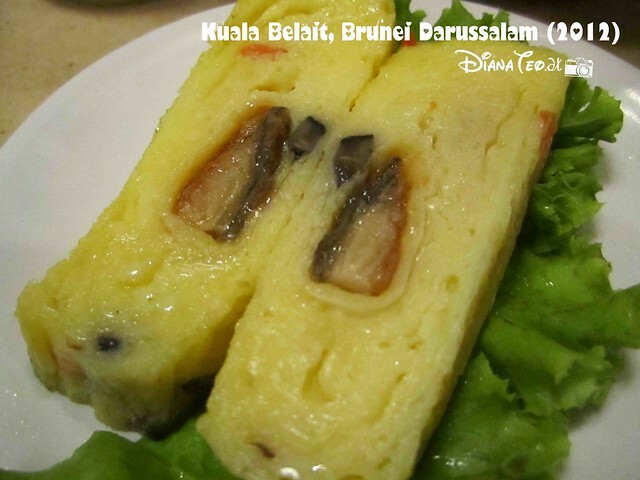 I wanna go Brunei just to eat all those! yumyum sashimi!! 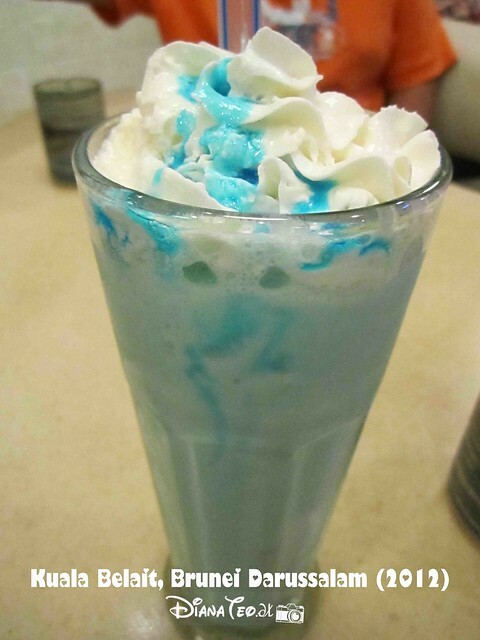 but the shake why blue color one. Not into Japanese food but I couldn't resist if someone offer me the vanilla shake and that mango pudding with chocolate ice cream. Nyum nyum!